Stone is versatile material. In addition to being used in fountain and fireplace carvings, it can also be added to your home in more subtle ways. Add stone to every room in your house with stone home accessories. Swap out your traditional plastic or glass bathroom accessories and choose a luxurious stone option instead. We have sets available in a variety of stone types. The polished stone sets include toothbrush holders, soap dishes, cups and tissue box holders. Stone vases come in all shapes and sizes. There are small tabletop vases perfect for displaying flower arrangements and large, statement-making floor vases. Our vases are handcarved from single blocks of marble stone. The artisan carvers use a lathe to make a smooth and symmetrical vase. Paperweights make a great gift. A stunning stone paperweight is a beautiful addition to your desk or office space. 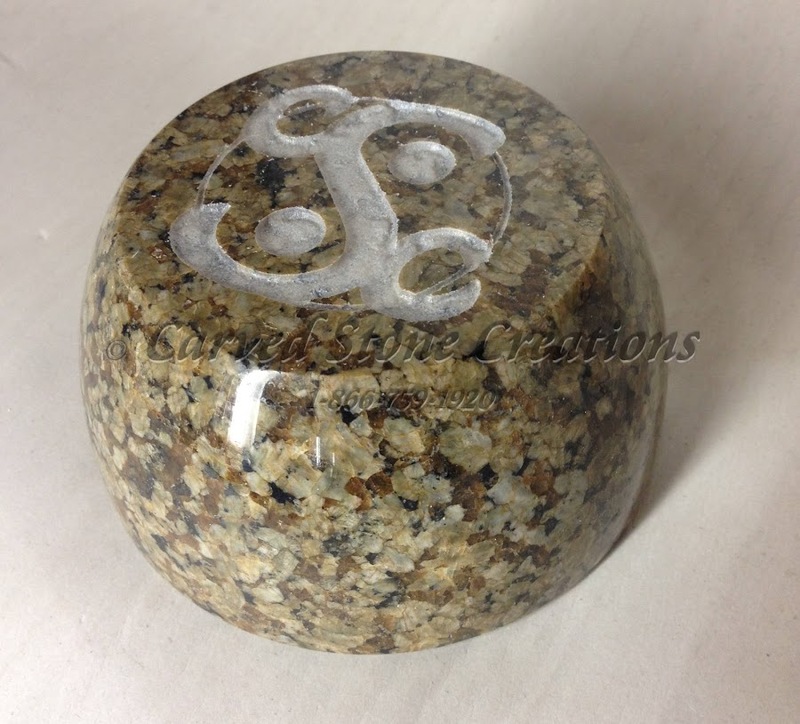 Our paperweights come in a variety of shapes and are carved from a wide range of natural stone types. Each paperweight is polished to a high-gloss finish to bring out the natural beauty of the stone. 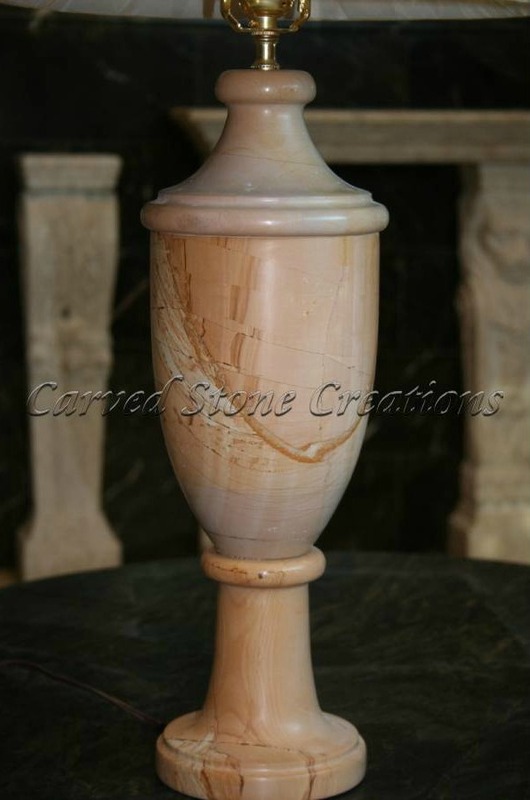 Natural stone candle holders are a great complement to your fireplace mantel or table. 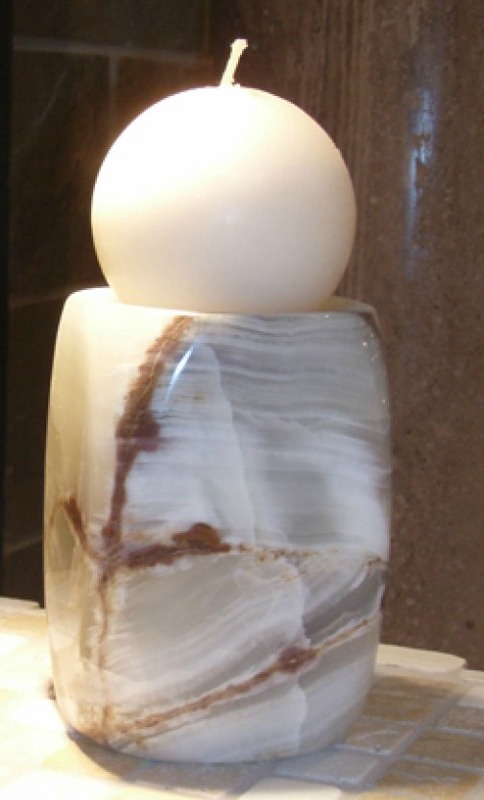 Each of our candle holders are handcarved from marble or onyx and polished to bring out the natural colors and veining of the stone. We offer modern-style candle holders with sleek lines and traditional-style candle holders in classic carved shapes. Light up your room with a stone lamp. 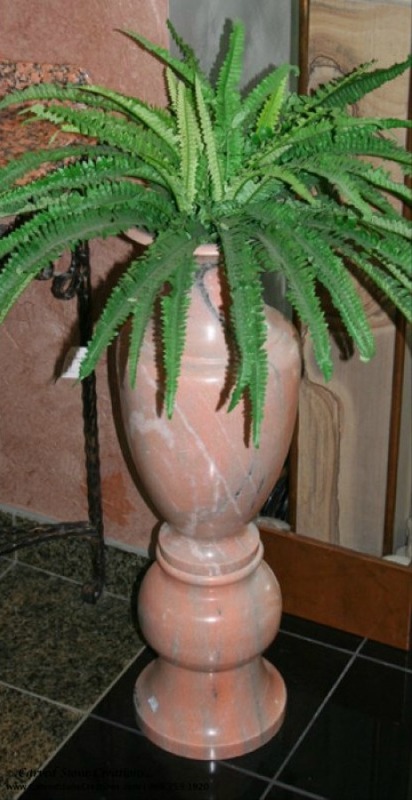 The lamp bases are carved from marble stone into a classic urn shape. The veining in the stone is highlighted with a glossy, polished finish. The heavy weight of the stone also makes the lamp less likely to tip over. Remember, all of our stone pieces are customizable. Please contact us for more information on creating your custom design. Browse our entire home accessories selection in our online store.